Following our recent ballot of Quarriers members on the final pay offer for 2018/19, 77% of members voted to accept the offer. 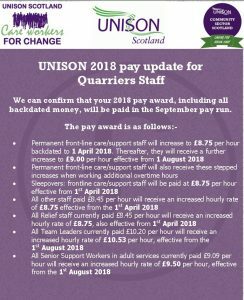 Probably not surprisingly since support workers within adult services were receiving an increase of approximately 6.5% on their hourly rate as well a significant increase in sleepover allowances. However it was extremely disappointing that around 25% of the workforce will receive no pay offer this year. This includes some team leaders, managers and corporate staff. It is important for Quarriers to understand that cost of living increases affects everyone and pay awards should be fully inclusive. These sentiments were expressed fully to the Quarriers management team during pay negotiations. 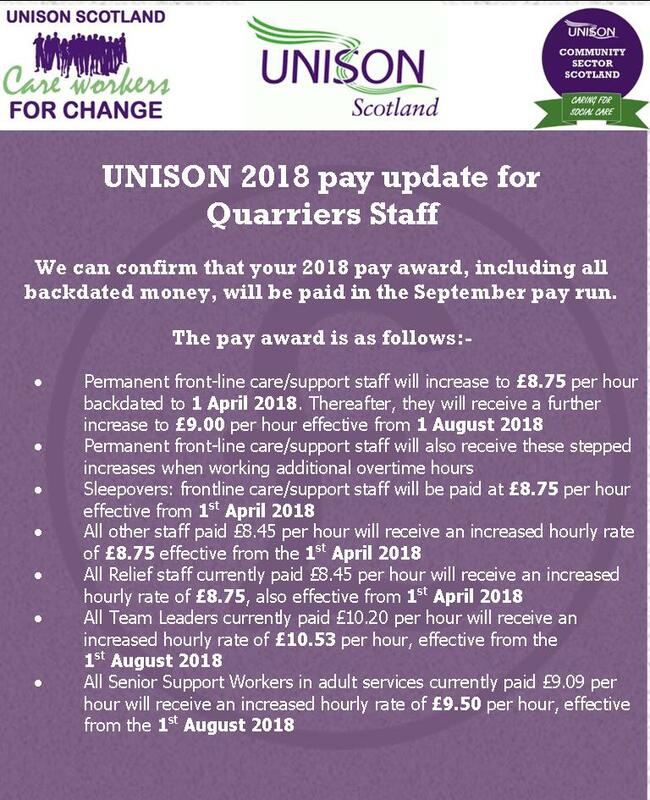 The branch are committed to ensuring that these groups are prioritised during next year’s pay discussions.